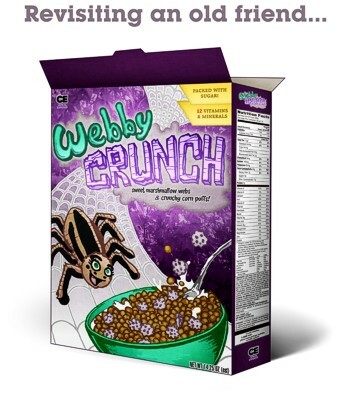 In 2005, I did a short comic called “Webby Crunch”, and passed it out at the San Diego Comic Con. It was a little project to get me back in practice with making comics, which at that time, I hadn’t made in five years. More recently, after lettering a few manga localization projects (more on those later!) I got to thinking that I should re-letter my old comics, as I’m better at it now, and have a much better-looking dialog font I use these days. As I started looking at the old pages, I found other things I’d tweak, if given the chance… The problem was, the full-size files of my 2005 / 2006 comics were all lost when my hard drive died in ‘08, and all I had left, digitally at least, were the low-res page files that have been on this site. I decided rather than just lettering those, that I’d rescan the original art pages, redo every digital thing that I’d done previously (hopefully better), replace a couple panels that I was never happy with, and rebuild it at 1200DPI, so it can be printed again. I also changed the page format to a more standard size (A5), and did a lot more with dot-tone and a lot less with the sketchy cross-hatching that pervaded much of the original. Anyway, click above, or here to check it out! Next up, I’ll be doing a remastered version of my 2006 title “Zone System”, and will be posting that in due time. I’m also preparing to do an all-new comic soon. Not a horror story like these two, but pretty dark in realistic ways that I haven’t really covered in comics before. Stay tuned!